The GRE can feel like make-or-break time for your graduate school hopes. But luckily there are tons of great prep courses available to aspiring students, and even more luckily for YOU is that I’m here to tell break down the very best. Keep reading for a rundown of which course are the best and why. Before we dig deep into what makes each GRE course stand out from the crowd, here is a quick snapshot of my top 3 choices. Each will provide you with some different perks, but none will steer you wrong. Magoosh offers students the best in terms of accessibility when it comes to online resources. No live instruction here, but that’s more than accounted for thank to tons of practice questions, tests, flashcards, and great customer support. Princeton Review offers the widest range of package options at the lowest prices. Whether you want to study live (online or in-person), self-paced, or take advantage of private tutoring, you will be sure to find the right plan at a price that works for you. Much like The Princeton Review, Kaplan GRE Prep is a historic name in test prep, and it brings all of its weapons to bear on the GRE. Live Online, Self-Paced and Tutoring plans will run a bit more expensive than with other companies, but all of these plans come packed with great features like a customizable Quizbank, physical workbooks, and a live test-day simulation. Magoosh leads the pack as our #1 GRE prep option because it is able to combine a king’s portion of resources into a slick platform that can be accessed on mobile, tablet, or your computer. Students willing to take their education into their own hands will find an easy home with Magoosh. With over 1,000 practice questions, 3 practice exams, a 5-point score improvement guarantee, and legendary customer support, Magoosh really has you covered. Just as importantly, Magoosh crams all of this into the most affordable package on our list. 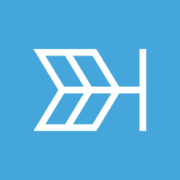 For just $149 (with this coupon code) you can get 6 months of access to all that Magoosh has to offer. Although it doesn’t offer the live resources that you’ll find with some other prep courses, Magoosh is the ideal solution for independent students who want to take charge of their studies without sacrificing quality materials. The Princeton Review is one of the most recognized names in test prep, and that’s no accident. The range of services is almost off the charts, and of the companies that provide live and in-person instruction, Princeton Review offers the most competitive pricing. At your fingertips will be eight (that’s right, EIGHT) fully adaptive practice exams, 3,500 practice questions, and their DrillSmart technology that reacts to your performance and tailors lessons to you. While it lacks desirable features like a mobile app and flashcards for quick studying, the affordability of the Review’s more comprehensive features is a huge plus. $349 is enough for access to their self-paced program, but for less than a thousand bucks ($949 with my discount code) you can book a spot in their Ultimate Live Online course. This gets you into a live classroom where you are able to interact with your instructor—in REAL time—over the course of 24 hours of instruction. 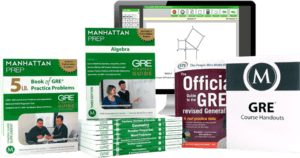 For students who love the personal attention that a live teacher affords, but who don’t want to break the bank, The Princeton Review GRE easily gives you the most bang for your buck. When it comes to big names in an industry, they don’t get any bigger than Kaplan in the world of test prep. Kaplan finds itself at number three on my list because of the breadth of services students can find on offer, and the depth to each of those options. Self-paced online, Live Online and Live In-Person (with one of the largest nationwide networks of physical classrooms available), and Personal Tutoring options for those who have the cash. Kaplan offers 5,000 practice questions (what?! ), 7 practice exams, flashcards, a mobile app, a customizable Quizbank, 3 physical workbooks, tutoring options, AND a higher score guarantee. While I catch my breath after listing all those features, you keep in mind that these all come at a price. A beginning price of $629 is the highest on this list, but if you have the money to spend then you will find Kaplan is worth every penny. And be sure to use my coupon code to make knock a chunk off of that price tag. For students who want every available tool at their fingertips and are willing to shell out a little extra cash, take a close look at Kaplan GRE. You’ll find the most comprehensive packages and full host of features that allow you to learn at your own pace or with the personal benefits of live instruction and tutoring. What makes the GRE unique to any other test you’ve probably taken so far is the fact that it registers and adapts to your performance in real time. And as you continue to answer correctly, the difficulty will climb along with the reward for each answer. In order to prepare for this type of test, you need a test prep that behaves in the same way. This is where the Economist GRE Tutor has knocked it out of the park. This self-paced option provides students with the most interactive study experience of the products I have reviewed. The Economist’s 5,000 (again: what?!) practice questions come equipped with some truly deep instructor responses. That means that each answer you give is met with feedback on whether you are right or wrong, and why. Economist self-paced students are also provided with chances to ask questions of real-life tutors, up to 6 live one-on-one sessions, and up to 7 comprehensive essay reviews. Add all this to 6 practice tests and a 5 point improvement guarantee, and you have a really competitive GRE prep option. The Economist is more than a world-class magazine: it’s also a world-class GRE prep course that is perfect for students who prefer to study at their own pace but don’t want to completely sacrifice personal instruction. The whole reason for taking a GRE prep course is to get a high score on the exam, right? Right. And if a prep course is going to offer a guaranteed score improvement, you want that to be as high as possible, right? Right. In that case, no one else on this can touch examPAL’s 6 point score improvement guarantee. The top graduate schools can be separated by an average GRE score of only one or two points, so you want every extra point that you can get when you take your test. By using their unique PALgorithm, examPAL has identified three possible ways to answer any given GRE problem. The lessons are geared towards teachings you these approaches, deciding which to use in a given scenario, and also highlighting which strategy works best for you. ExamPAL comes with many of the expected features of an online course: practice questions (1,500), practice exams (4), interactive video lessons, and essay grading. While it does have a few shortcomings (no mobile app and slightly fewer practice resources than other prep courses), examPAL provides a solution with its unique credits system. Used to access extra practice tests and questions, you also have the option to divert some of your credits towards purchasing tutoring sessions, extra essay reviews, and expert assessment of your study plan and calendar. If you are looking for an affordable course (only $256 with my discount) that allows you to customize your experience to access the extra perks you need, then examPAL’s unique system is the smartest choice for you. We’re all thinking it: Math is rough. Even for those of us who love the formulas and equations, Quantitative sections on exams can still throw us for a loop. The GRE has its own unique language and style, and it takes time for get familiar with the way questions are asked and to identify the particular skills that the test prioritizes. With razor-sharp focus, Target Test Prep breaks the GRE Quant section down into 36 distinct lesson modules. This simplifies those really difficult concepts and delivers them to you, the student, in accessible bite-sized chunks. Target offers 3,000 practice questions (and remember—because Target is all in on Math—that’s a HUGE amount of practice), active reviews of your work, adaptive lessons and a customizable study calendar to keep you on track. Since Target only deals with math, there are no full practice exams, but the program does provide diagnostic exams to gauge where you stand and adjust the lessons accordingly. With my promo code, $279 can get you 6 months of online access to all of these materials and practice questions. If it’s been a while since you were in math class, or if you feel your verbal skills are already rock solid, then Target Test Prep is the most efficient choice for your GRE prep. Let’s face it. Sometimes responsibilities can sneak up on us. Let’s say you’ve had graduate school and the GRE on your radar for quite some time, but work, family, and life in general have intervened to delay your study plans. If this sounds like your situation, don’t worry: Manhattan Prep may just be the option for you! Manhattan Prep’s self-paced and live online courses offer tons of great features that you’ll find across the board: thousands of practice questions, 6 fully adaptive practice tests, physical resources, vocab drills, and available tutoring plans. But what Manhattan Prep offers that really helps in a pinch is their Crunch Time workshop. For $79, you can get access to 2 hours of live online instruction on a specific area of the exam, PLUS: email support from your workshop instructor, an extra timed and proctored set of GRE practice questions, tips on how to improve your study habits, and extra assignments to practice on your own. Although it’s not typically a great strategy to leave studying for the last minute, the reality is that sometimes things don’t always go to plan. It’s nice to know that if life throws you for a loop, you’re never without study options. All of Manhattan Prep’s courses come jampacked with resources, but it’s great to have an extra last-resort option like the Crunch Time workshop.